Welcome to the heart of "French Rome"! My team is delighted to welcome you for an unforgettable stay, facing Arènes de Nîmes. The hotel's location is ideal to discover the city's and regional splendors. Novotel Atria Nîmes Centre is a 4-star hotel located in Nîmes city center, opposite the bullring, near SNCF station (400m). It has 119 soundproof and air-con rooms, private parking with 40 places, a bar, and a trendy restaurant, Novotel Café, open every day for lunch and dinner. The hotel also has a conference and convention center with 9 seminar rooms with daylight and an amphitheatre with 410 seats. Nîmes, a candidate city for UNESCO's World Heritage, embodies "past in the present". Ancient architecture and preserved Roman monuments confer a singular identity. A city of art and history yet to be discovered! Car park entrance: rue Montjardin. No elevator in car park, use drop-off area in front of hotel if you have luggage. Car park access: Enter "25 av. Carnot" in GPS. At the traffic lights, turn left. At the end of rue Pradier, turn right. Non-reservable. Spacious, contemporary design and adaptable, the Novotel room is truly a place for living. Perfect for all your needs. 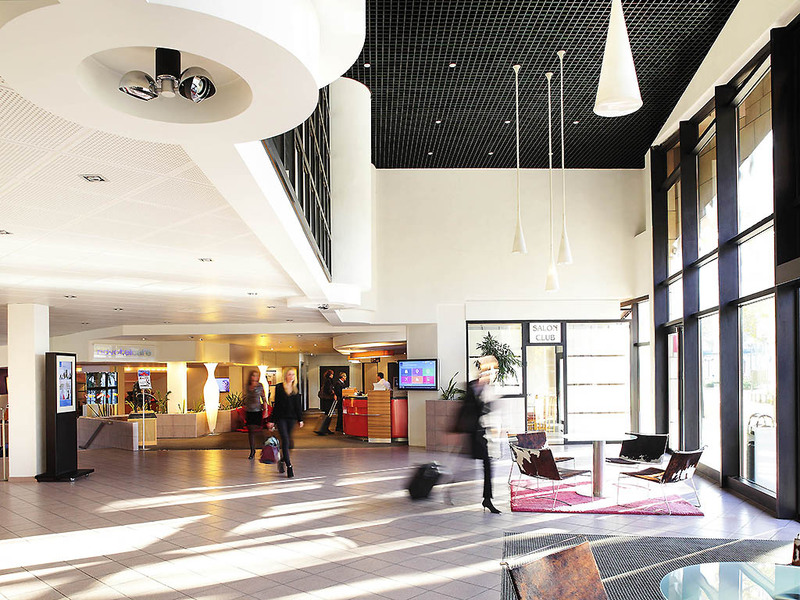 The Novotel Atria Nîmes Centre is ideal for families. Discover our suites: some of which can accommodate families of up to 2 adults and 3 children (subject to availability and on request). Dine however you want, whenever you want. Enjoy simple, tasty, healthy and balanced cuisine at any time and satisfy all your cravings. Take a moment to relax in the restaurant, bar or in your room.